Vinyl car wraps are one of the hottest trends in auto customization right now. With car wrapping, you can select any color, print or style you want. It’s a great way to radically change the appearance of your car. Best of all, it’s not a permanent change. This means should you decide to switch to a different exterior or sell the car, the wrap is easily removable. This wrap also protects your car exterior against the elements preserving your car against the elements. There are so many advantages to window tinting. It’s not just a great way to create a sleeker looking car but can enhance your driving experiencing by muting the brightness of the sun as well as headlights at night. You have a wide selection of tinting options available and tones designed to find the perfect fit for your car. 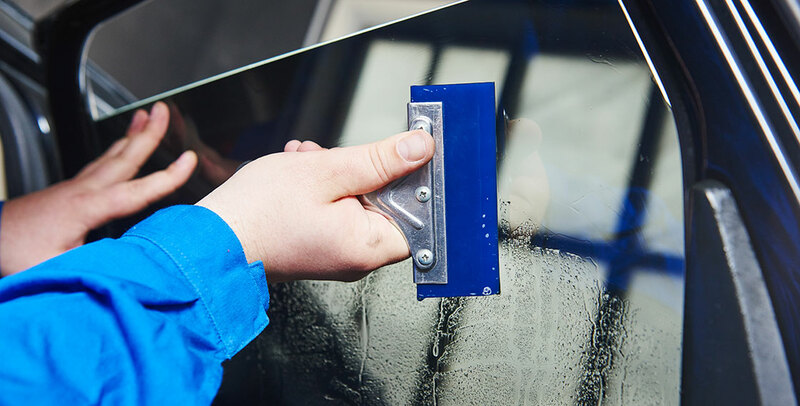 The best auto customization shops even use a specific technology that will ensure the tint never cracks, fades or bubbles so it will look great for years! What truly makes a unique vehicle are the subtle touches and accents. Custom wheels and rims can transform your vehicle to not only improve the look of your car, but also the way it drives. You can find the perfect fit for your style with our wide array of paint options and clear coats. Not only that, we can match it with our large selection of tires suited for whatever your driving needs are. If you want your car to always be looking new, then check out Clear bra. Clear bra is a paint protection film that protects against scratches, scrapes and other debris. Not only that it protects against UV and water damage and keeps your car’s finish look nice and shiny even when it’s been a while since your last wash! There’s no better way to protect your exterior than by using a paint protection film. This is just the beginning. There are so many other things you can do at auto customization shops from custom car paint jobs and more. These days many people are opting to swap their factor headlights for something a little more exciting or efficient light powerful and stylish LED bulb. You can also tint other parts of your vehicle going for a matte or glossy finish instead of the standard chrome look on most vehicles. And that doesn’t even include improvements to the interior. When it comes to getting the vehicle you have always wanted, nothing beats heading to auto customization shop to discuss the different options you have for personalizing your vehicle. At AF Collision, we have everything you need to create the car of your dreams. We have the latest technology and can even show you previews of how your car will look after the custom work. So connect with us now to see how we can your car into something incredible.